Maybe it's Christmas come early for the Colombian riders in Paris-Nice with Egan Bernal and Nairo Quintana first and second overall. All the reports, results and video from France and Tirreno-Adriatico. No Roubaix for Tafi - Top Story. Lots of other cycling news this Monday: Stefan de Bod African time trial champ, Francisco Ventoso injured, Direct Energie and Lotto Soudal teams for Milan-Sanremo, Tour of California teams including Team Novo Nordisk, Zurich 2024 Worlds, Victor Campenaerts diary, contract for Mike Woods and Fabio Jakobsen ready for 2019. Big coffee time. There will be no 52-year-old rider at the start of Paris-Roubaix this year. Andrea Tafi crashed during a Gran Fondo and has broken his collarbone. The former winner of the 'Hell of the North' has been looking in vain for a team that would take him on just for the cobbles Classic in 2019. Tafi had not given up hope, he said in February. "I still hope to appear at the start", the former Italian road champion said. The 1999 Roubaix winner has spoken with Deceuninck - Quick-Step team manager Patrick Lefevere, and was linked to the Dimension Data team, but it all came to nothing. A video of his preparation and race was also in the offing and Tafi was very keen on the project: "I want to see where my limits are. It is something nobody in cycling history has done yet." Although it now all seems to be just a dream. In addition to his victory in 1999, Tafi also finished two other times on the podium: Second in 1998 and third in 1996. He first rode the cobbles of Paris-Roubaix in 1991 and after thirteen appearances he rode in 2005 for the last time. Tafi wins in 1999, again in 2020? 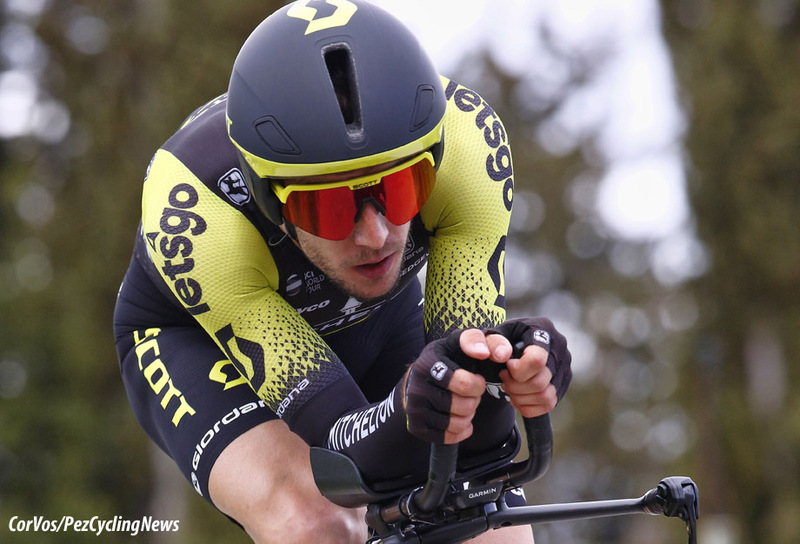 Surprisingly Simon Yates (Mitchelton-Scott) won the time trial Stage 5 on Thursday. The British rider beat TT specialist Nils Politt (Katusha-Alpecin) and overall leader Michal Kwiatkowski (Sky). Kwiatkowski kept the leader's jersey. The 25 kilometer time trial was mostly flat, but it did have a climb along the way to the Abbey of Saint-Michel de Frigolet. Julien Vermote was the first rider off and the Belgian finished with a time of 32:38, more than 2 minutes slower than Simon Yates. The Vuelta winner clocked 30:27 and stood the test of time as there were 69 riders still to finish. Fast riders such as Edvald Boasson Hagen, Thomas De Gendt and Ion Izagirre couldn't get near the time of the Brit. Nils Politt came within 7 seconds, but favorites such as Bob Jungels and Wilco Kelderman lost valuable time. 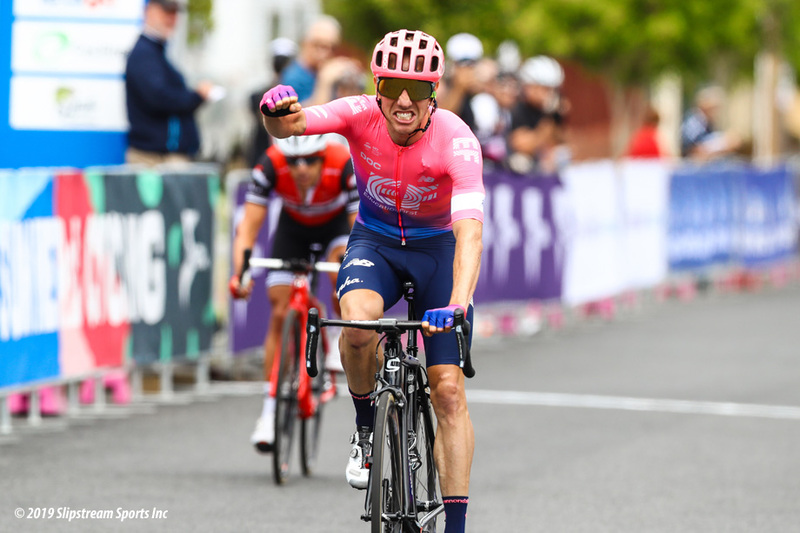 Luis León Sanchez, Egan Bernal and Kwiatkowski could not come close to the time of Yates, which allowed the Brit to add a unique victory to his palmarès. The 26-year-old rider has never managed to win a time trial until Thursday. Sky emerged as the big winner: both Kwiatkowski and Bernal rode an excellent time trial. This keeps the Pole overall leader with his Colombian teammate in second place at 19 seconds. Luis León Sanchez (Astana) dropped to 3rd at 28 seconds as Wilco Kelderman (Sunweb) is now 4th at 1 minute. Jungels 5th, Nairo Quintana 6th. Stage winner, Simon Yates (Mitchelton-Scott): "It's unexpected. I knew it was going to be tough and I didn't believe it was a good course for me as there was no hill but I felt good coming into the race. I lost a lot in the crosswinds but now it's a good day. It's my first ever victory in a time trial, even as a cadet. I'm happy with what I did. The sensations were really good. The legs were here at the start. I was just caught in the crosswinds. But the legs are good. I'm looking forward to racing at the weekend. Today I just tried to do the best I could. I left everything on the road." 3rd on the stage and overall leader, Michal Kwiatkowski (Sky): "I didn't ride to win the TT but to defend the yellow jersey. And that's a satisfaction since I remain the race leader and I even gain some time on all my rivals. Now I'm looking forward to the weekend as it's not over even if we're in a good position." 2nd on the stage, Nils Politt (Katusha-Alpecin): "This was a pretty good time trial today and I’m really happy with my performance. It’s my first time to earn a podium placing in a big, big time trial and I see that my condition is good. I train every winter on my TT bike, but this time I went probably only five times, so maybe that’s the key. The last 5km were very hard. There was a tailwind and it was a little bit up and down, plus I was already going all in, so I was really suffering." 7th overall, Felix Großschartner (Bora-Hansgrohe): "The course didn’t really suit me, I prefer more hilly sections and undulated courses, today was simply too flat for me. Anyway, I am satisfied with my performance and the watts I was able to deliver. Maybe I started a little bit too slow, however, I am seventh in the GC after today’s stage and of course I want to still progress here at Paris-Nice." 10th overall, Romain Bardet (AG2R-La Mondiale): "There is no reason not to be happy today. I rode my first time trial of the year and it was rather neat. I went pretty far in terms of pain, it's a little bit difficult to analyze but I think I went as far as I needed. The conditions changed in the afternoon and I think that we were slower overall in the first part of the course. But the guys in the best form are in front. In any case I enjoyed it, I didn't make a lot of mistakes and there are reasons to be satisfied. Saturday will be a great stage but don't expect miracles. By contrast everything can change in Sunday's stage, which is always undecided." 10. Romain Bardet (Fra) AG2R-La Mondiale at 1:25. 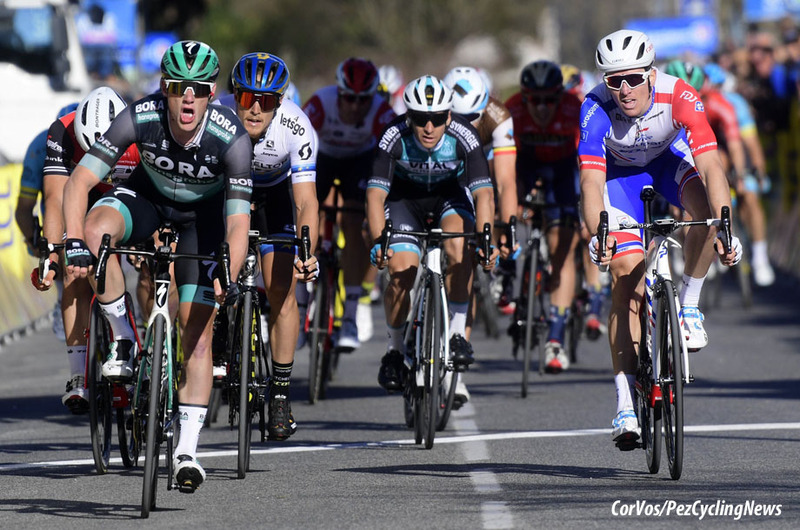 Sam Bennett (Bora-Hansgrohe) won Stage 6 of Paris-Nice in a bunch sprint in Brignoles. Arnaud Démare (Groupama-FDJ) took second place, with European champion Matteo Trentin (Mitchelton-Scott) in third. Sky's Michał Kwiatkowski held on to the leader's jersey. The 176.5 kilometer stage was far from flat, with climbs of the Côte de la Sainte-Baume, the Côte de Mazaugues and the Côte de Sainte-Philomène, followed by 17.5 flat kilometers to the finish. Lilian Calmejane went early and was joined by Ivan Garcia, Alex Kirsch, Laurent Pichon and Mauro Finetto. Garcia and Calmejane were dropped, leaving the other three to push on. After the first hour the three had a 3 minute lead. Kirsch was the best placed on the overall at more than 15 minutes, so there was no reason for Sky to chase in defense of Kwiatkowski. Just after the half-way point the peloton lifted the pace and reduced the lead to two minutes. On the first of the three climbs the time difference was down to half a minute and in the peloton Thomas De Gendt took the remaining mountain points. Soon after the break was caught, so a complete bunch started the final 50K together. Again the strong wind played an important role; the peloton was shattered for a short time early in the stage and then split again before the foot of the second climb. De Gendt was in the wrong part of the peloton and Dylan Groenewegen and Simon Yates (winner of the time trial) also had problems. Matteo Trentin's Mitchelton-Scott teammates led the peloton on the Côte de Sainte-Philomène, the last climb of the day, but the race stayed together there, so it looked like the stage would end in a sprint from a large group. Fifteen kilometers out there was a big crash at the front of the peloton, with Jan Bakelants and Rafael Valls coming off the worst. Romain Bardet was also stopped by the fall, but managed to return. Kwiatkowski and Luis León Sánchez jumped from the pack for the intermediate sprint 4 kilometers from the finish line. The Pole took the three bonus seconds from the Spaniard, then they dropped back. On the run-in there was another crash, this time it was Christophe Laporte, Tao Geoghegan Hart and Caleb Ewan who went down. Again the bunch had to re-organize itself. Sam Bennett was the fastest in the sprint, taking his second stage win in this Paris-Nice, after his victory in the third stage to Moulins-Yzeure. Stage winner, Sam Bennett (Bora-Hansgrohe): "I wanted to go hard today, because it was a perfect stage in terms of preparation for Sanremo. I thought I wouldn’t be able to survive the second last climb, but I made it. In the last few kilometers I had really good legs. I knew there is no need to panic, I just had to follow my teammates, who did a fantastic job. I got almost boxed in on the final meters but made my way through. I could beat some of the best sprinters once again, I am really looking forward to Sanremo now, which is my first goal of the season." Overall leader, Michal Kwiatkowski (Sky): "I was hoping for a pretty straightforward day out there, but it was anything but! We had some crosswinds straight from the start, the wind was strong. The guys were trying to split the bunch from 5km which I thought was strange. It created a lot of stress, everyone was on edge. That’s why there were so many crashes. It was a really testing day, but thankfully I was always out of trouble and to stay in front after such a hectic day was really good. Today wasn’t an easy stage, but we’ve come through it and we’re in a positive position. My head and my mind is already focused on tomorrow - it will be another tough stage. It’s a pretty steady climb - I’ve done it a few times before. I did it a few weeks ago - it’s nothing crazy - and I’m looking forward to it." 10. Egan Bernal (Col) Sky. 10. Romain Bardet (Fra) AG2R-La Mondiale at 1:24. 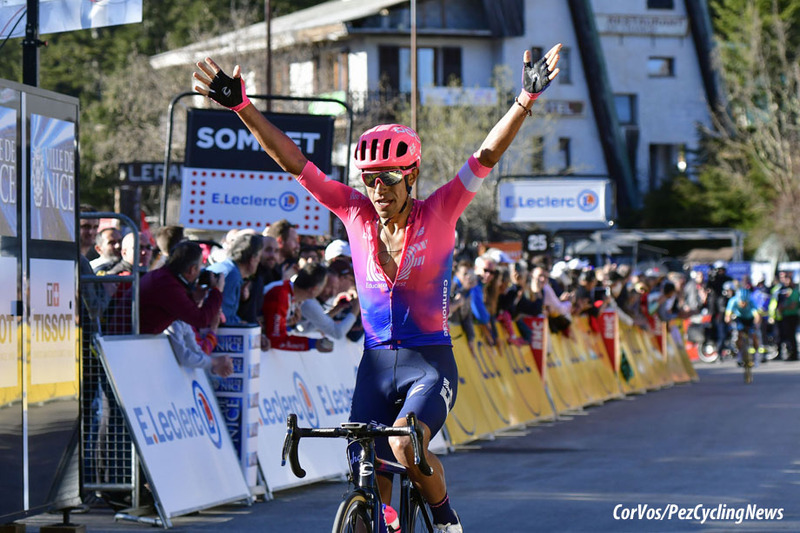 Egan Bernal (Sky) grabbed the lead in Paris-Nice on Stage 7 as the Colombian rode everyone off his wheel on the Col de Turini, except Nairo Quintana (Movistar), and took over the leader's jersey from his Sky teammate Michal Kwiatkowski. The stage victory went to Daniel Martinez (EF Education First), who got the better of Miguel Ángel López (Astana) and Simon Yates (Mitchelton-Scott). The Queen Stage 7 took the peloton to the summit of the Col du Turini. Team Sky, with Bernal and Kwiatkowski, had not yet run into problems, but on Saturday they faced serious opposition. First an enormous group escaped early in the race with 39 riders. Thomas De Gendt was very active in this group looking to hold his KOM jersey. Philippe Gilbert, Yates, Giulio Ciccone, Simon Spilak, Pascal Eenkhoorn, Mike Teunissen, Tim Declerq, Matthias Frank and López were also the danger men up front. Gilbert was the best placed rider in the group at only 2 minutes from leader Kwiatkowski. Despite Team Sky controlling the peloton; the escape group's lead continued to rise and with 40 kilometers to go - 25 kilometers before the start of the final climb - the lead was more than 6 minutes, putting Gilbert in the virtual lead. On the Col de Turini the expected names came to the fore in the leading group. Yates and López fought for the victory, while Nicolas Edet and Daniel Martinez defended themselves. They kept their 6 minute lead to only loose a little time in the last few kilometers. The four front riders were attacking each other, but they always came back together. In the final kilometer it was Martinez who had enough left to grab the stage win. Kwiatkowski's big challenger was Gilbert, as part of the large leading group. The Belgian finished far enough ahead of Kwiatkowski, but it was Bernal who had finished far enough ahead of the other GC men to take the leaders jersey by 45 seconds from Gilbert. Nairo Quintana finished just behind Bernal and moved into 3rd place overall just 1 second behind Gilbert. Stage winner, Daniel Martinez (EF Education First): "The break was a very strong one and I knew the qualities of each rider in it. I analyzed each one of them, knowing that the mountain always puts you back in your place. In the finale, we really watched each other. I knew what my place was. I was tired but I gave everything I had left in the last kilometer. I was more afraid of Simon Yates because he won the TT and was in great form. We showed that Colombia was a great cycling power. We are all great friends and it also helps. Even we all compete in our own interest, we're always proud to win for Colombia. It's a very important victory for me because it's one of the greatest races in the world and a great honor to win here. From now I can only progress. With Bernal and Lopez, we are different riders. Bernal is younger and he's also better in time trials." Overall leader, Egan Bernal (Sky): "It was a little complicated at the start of the climb. I thought that we were in control and that it would be easy to bridge the gap. But as the race went on, we saw it was not the case and we were forced to raise the tempo. Then Michal was honest and told us to go for it and try to salvage the jersey. We could not let Gilbert take the jersey away from us. We rode the last kilometer like a time trial. A race is never won before the last day. The last stage is always difficult and the gaps are not so huge. So even if I'm in a good position, we must not lose our concentration." 3rd overall, Nairo Quintana (Movistar): "Trying to do something yourself was simply not possible. Team Sky drove too fast for that. In short, my preparation was good. The fact that I belonged to the strongest climbers gives me confidence. We wanted to try something as Movistar, but the pace of Team Sky was just too fast, I could only follow. I knew it would be hard to take time on Egan. That is why I only tried to follow him, so as to drive to a podium place. We will have to play our cards well on Sunday." Felix Großschartner (Bora-Hansgrohe): "I tried to stay with all the other GC contenders as long as possible, but unfortunately, I had to let them go with 5 km remaining. I followed my own pace then, and I am still satisfied with my performance which was an improvement compared to last year’s mountain top finish. Tomorrow is another demanding stage and last chance, therefore I will give it my all." 10. Alessandro De Marchi (Ita) CCC at 2:15. 10. Bob Jungels (Lux) Deceuninck - Quick-Step at 3:06. Ion Izagirre (Astana) won the 110 kilometer Final Stage 8 of Paris-Nice. Sky's Egan Bernal lost 7 seconds to Nairo Quintana (Movistar), but took the final overall victory by 39 seconds. Matteo Trentin (Mitchelton-Scott), Nils Politt (Katusha), Amael Moinard (Arkea-Samsic) and Niccolo Bonifazio (Direct Energy) were the break of the day. On the first climb of the day Bob Jungels (Deceuninck - Quick-Step), Dylan Teuns (Bahrain-Merida) and Ilnur Zakarin (Katusha-Alpecin) got across to them. Jungels attacked and was joined by Thomas De Gendt (Lotto Soudal) on the climb. The KOM leader was first over the summit. A new leading group of 37 riders emerged, including Simon Yates (Mitchelton-Scott), Wilco Kelderman, Oliver Naesen (both Sunweb) and Marc Soler (Movistar), with Ilnur Zakarin the best placed GC rider. On the Cote de Chateuneuf, Trentin went solo. He was joined by Julien El Fares (Delko-Marseille Provence-KTM) and Tejay van Garderen (EF Education First). On the Cote de Peille, Van Garderen attacked. Nairo Quintana counterattacked from the behind and was the first over the top. 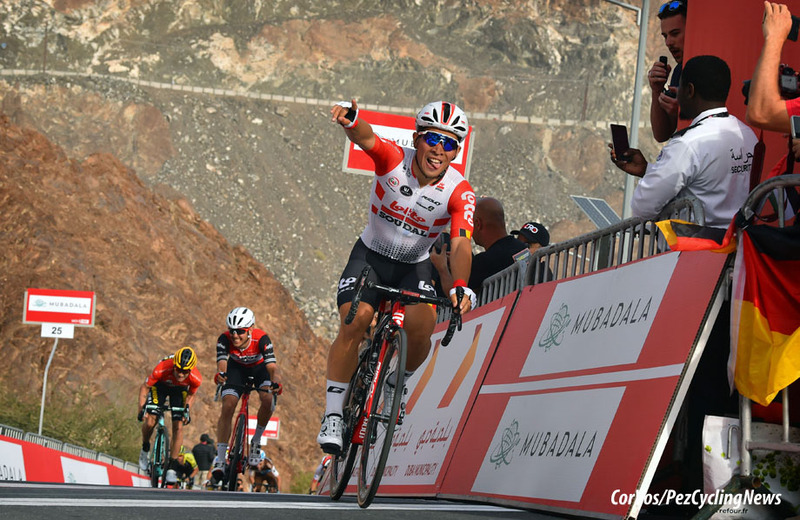 A new leading group of 12 riders was formed, Quintana was also the first over La Turbie climb, although De Gendt had already assured himself of the KOM victory. Quintana was at this point in the virtual yellow jersey. Sky had four riders to chase Quintana who had none. Ion Izagirre escaped from the leading group on the final climb, the Col des Quatres Chemins. The Astana rider managed to force a substantial lead as Quintana saw his on fellow countryman Bernal evaporate. Izagirre crossed the line on the Promenade de Anglais in Nice solo. Egan Bernal secured the final overall victory. The Colombian is the third Colombian winner on the honors list after Carlos Betancur (2014) and Sergio Henao (2017), and is Sky's sixth victory in the last eight years. 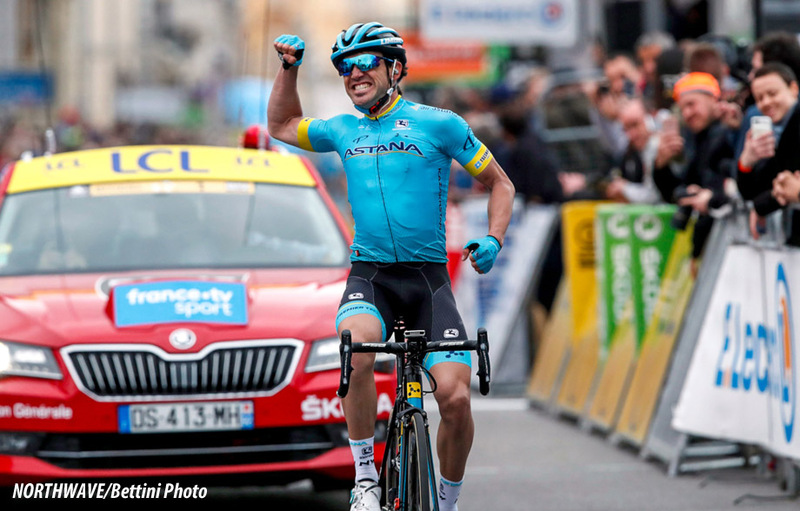 Stage winner, Ion Izagirre (Astana): "This was the classical stage of the Paris-Nice and we knew pretty well the attacks and breakaways could bring success. So we had a good plan to animate the race from the start. Finally, I was able to go in the break together with my teammates, Luis Leon, Miguel Angel, and Hugo. Indeed, it was a great day for us, we wanted to improve the position of Luis Leon in the general classification but also to fight for the stage. I felt good during the whole day and in a moment when I say a possibility I attacked. I was able to get a gap and continued pushing the pedals until the finish. I am super happy with my win, I wanted to win this stage so badly! I think we did a strong race here at the Paris-Nice with the victories of Magnus Cort and mine. I know that in the same moment Jakob Fuglsang took a win at the Tirreno-Adriatico, so I congratulate him as well! What a team we have! It is so great." Final overall winner, Egan Bernal (Sky): "I can’t believe that I just won Paris-Nice. It’s incredible for me. I’m really happy. I... I just can’t believe it yet. When some GC riders started to attack I knew I could follow them, but also I know that I have a really good, strong team, and my team can control these races. So it wasn’t too difficult to be calm because I really believe in my team. They did a really, really good job. We knew it was the last day so they pulled really hard. Nairo was really strong but I had a really good team - Kwiato, Sosa, Tao. When Quintana attacked I thought if I followed then after I may be alone. I preferred to wait a little bit, stay calm." 2nd overall and 10th on the stage, Nairo Quintana (Movistar): "We wanted to take team riders to the front to then try and attack into one of the climbs, take advantage from their strength at the front and create a 'one to one' situation between Egan Bernal and myself. We had three of my team-mates into the break, from which Marc Soler was the strongest and could push for a nice chunk at the front, and then it was a good fight until the end for me. We didn't win the race, but we've tried all that we could in this final stage, where we thought we could take those chances. It's true that we barely improved our result with that move, but today's overview has lots of ups for me: my body feels great for the upcoming big races, we're doing things right and I continue to enjoy bike racing a lot - which is the real important thing." 2nd on the stage, Oliver Naesen (AG2R-La Mondiale): "Being in this breakaway, with all these climbers, I had to save my energy as much as possible. In this type of scenario, I can only hang on and hope that others do the work. I cannot be in better shape than I am right now, and I'm leaving Paris-Nice with a lot of confidence for the classics. For Milan-San Remo, I can hope for a top 10 because facing punchers like Alaphilippe or some of the others, I may be a little short of punch, but I definitely hope to win a classic this year." KOM, Thomas De Gendt (Lotto Soudal): "I only had to keep an eye on one rider today, which made the race a bit easier. Still, De Marchi was part of the big front group but eventually, he did not really battle anymore. It became a sprint towards the foot of the first climb, which I started in a good position. Then, I still had six kilometers to move up, so I did. When I took the seven points there, I knew that a lot would have to happen to let it slip through my fingers. I would have liked to battle for the stage win, but my legs felt - especially after yesterday’s stage - quite heavy. My mental finish line was at the top of the third climb today. The fourth ascent is just a little too hard for me. Then, I decided to recover as much as possible towards the many other races I will take part in. I think that it was a good Paris-Nice for Lotto Soudal, but we could have won three stages as well. My next race will be the Volta a Catalunya, where the stages should suit me even a little more. But first, some time for recovery." 5th on the stage, Felix Großschartner (Bora-Hansgrohe): "I gave it my all today, the profile suited me, therefore I wanted to try something. When Quintana attacked, I knew this is my chance, even knowing that it would be a long and cruel day out there. In the last downhill there was not enough cooperation and we lost precious seconds. In the end I finished fifth in Nice and 12th in the overall. It’s a pity to miss the top ten that close, but that’s cycling. Now, I am looking forward to my altitude camp at Sierra Nevada and afterwards to my next goal, the Tour of Turkey." 10. Nairo Quintana (Col) Movistar at 0:22. 10. Ilnur Zakarin (Rus) Katusha-Alpecin at 4:07. Julian Alaphilippe (Deceuninck - Quick-Step) followed on from his win in Strade Bianche last Saturday with the win in Stage 2 on Thursday. The Frenchman beat Greg Van Avermaet (CCC) and Alberto Bettiol (EF Education First) in Pomarance after a tough uphill sprint. Adam Yates (Mitchelton-Scott) became the new overall leader. Mirco Maestri, Natnael Berhane, Stepan Kurianov, Sebastian Schönberger and Markel Irizar managed a maximum lead of 5 minutes, but Mitchelton-Scott - with leader Hepburn leading the pack - had the situation under control. On the Castellina Marittima and Serrazzano, their lead was started to disappear. The escape was caught just before the foot of the final climb to Pomarance. Six kilometers from the finish line Daniel Oss put in a big attack. The Italian from Bora-Hansgrohe managed to get away - in the absence of a dropped Peter Sagan - but he was quickly recaptured. Mitchelton-Scott kept the fast pace, but Alexey Lutsenko (Astana) managed to get away, but was almost immediately countered by Primoz Roglič (Jumbo-Visma). This pair were joined by Simon Clarke (EF Education First) and Tom Dumoulin (Sunweb). However the reduced peloton was not far behind. Roglič tried again in the final kilometers, but he couldn't shake the others off his wheel, so there was a big group of favorites going into the last kilometer. 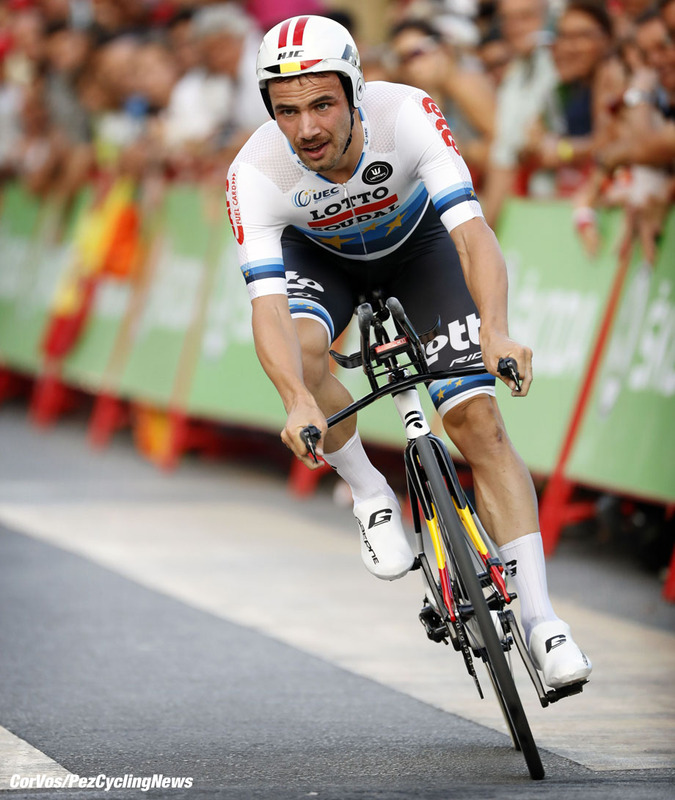 Alaphilippe had clearly been saving himself for the finalé and was perfectly placed with a few hundred meters to go. The sprint turned out to be easy for the fast Frenchman as he saw off Van Avermaet and Bettiol. Adam Yates crossed the line in 5th to move into the overall lead. 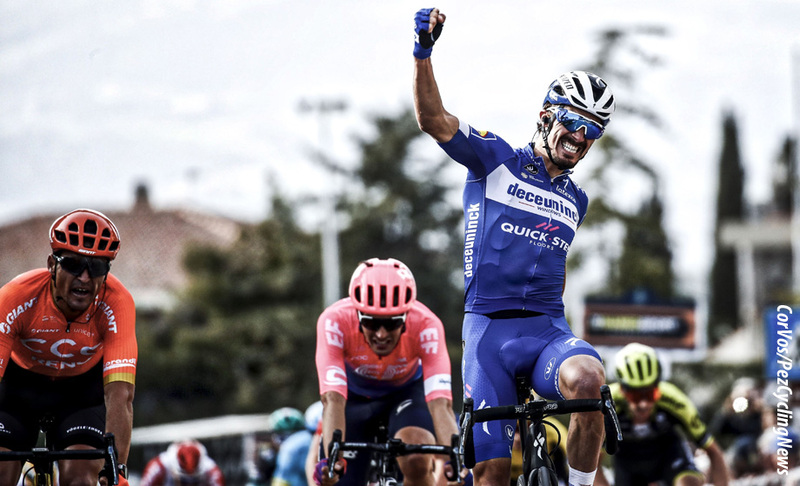 Stage winner, KOM, Points and 8th overall, Julian Alaphilippe (Deceuninck - Quick-Step): "My team did a tremendous job today, controlling the breakaway, protecting me and keeping an eye on all the attacks in the final. Styby covered the moves, and that helped me remain calm and patiently wait for the sprint, which I opened with 150 meters to go, going full gas to the line. I had good legs, but was also very strong also mentally, and that made the difference today. This victory makes me very happy, but I’m not thinking about the blue jersey, as I prefer to take it day by day and see what happens. Yesterday we lost time in the TTT and we were very motivated for this stage, so I’m happy I could finish it off with the help of my teammates. Tomorrow we will ride for Elia, because it’s a good opportunity for him. We continue to remain the same strong and united Wolfpack, always ready to work hard in order to achieve our goals." 5th on the stage and overall leader, Adam Yates (Mitchelton-Scott): "It would have been nice for me to win today but the finish didn’t exactly suit me. There were stronger guys than me but, after tomorrow's stage, there are two stages that I can challenge for time bonuses. With no summit finish this year and an individual time trial to finish with, it’s pretty difficult for me to win Tirreno-Adriatico, but I came here to win a stage and do well on GC. We’ve been doing pretty well so far and we’ll try to win more." 2nd on the stage, Greg Van Avermaet (CCC): "It was quite a good pace the whole day long. Mitchelton-Scott was controlling and Gijs and Guillaume set me up really well for the last climb. Actually, everything went perfectly for me. Michi did a good job closing some gaps and I just tried to stay as long as possible out of the wind and then came in the front in the last two kilometers. For me, the stage couldn’t have gone better and we executed our plan exactly as we said we would in the meeting. When you get second place it’s sad, but it’s the way it is and I was pretty happy with how the team and I performed today. The finale was super hard but I said to myself from the beginning that I wouldn’t move with anybody unless it was a group of 20 guys. You have to choose the sprint and hope that everything comes back. It was good to have Michi there still to close some gaps and the group that went clear only took five or ten seconds so you knew with the final coming closer that they would be caught back. It was good for me like this. Tomorrow is quite flat so I hope to survive as good as possible. We will see what happens in the final. We always have to be there to make sure there are no gaps in the final, and then we’ll see the next day. I think the day after is another good stage for me and hopefully, I can be up there again." 12th on the stage, Davide Formolo (Bora-Hansgrohe): "It was a fast climb and since our chances for a GC position were dashed with the crash yesterday, Daniel tried to attack at the bottom of the last climb and then controlled. When Lutsenko gave it a go, to anticipate the sprint, I tried to follow but it didn't work out and there nothing more we could in order to force an early sprint." 10. Tim Wellens (Bel) Lotto Soudal. 10. Wout Poels (Ned) Sky at 0:47. 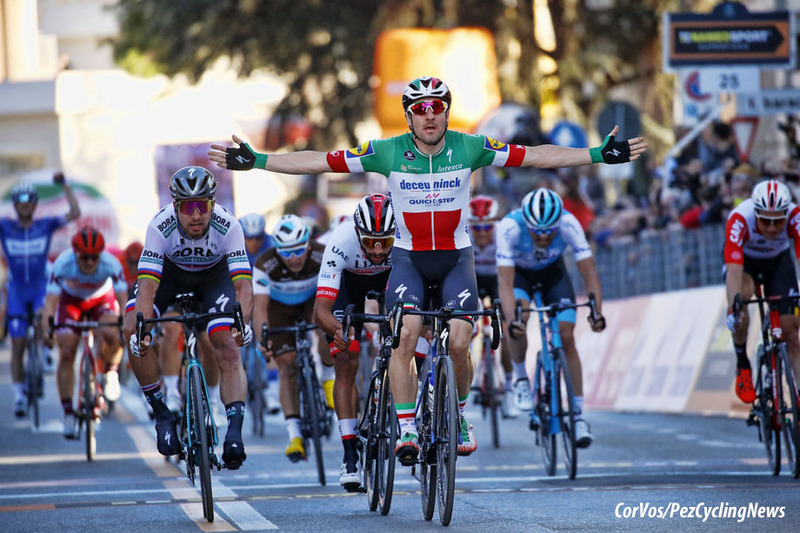 Deceuninck - Quick-Step's Italian champion Elia Viviani won Stage 3 of Tirreno-Adriatico in Foligno. Peter Sagan (Bora-Hansgrohe) finished second, with Fernando Gaviria (UAE Team Emirates) in third. Adam Yates (Mitchelton-Scott) retained the leader's jersey. The third stage from Pomarance to Foligno was the longest of the 2019 event at 226 kilometers and almost flat. Only two climb on the route, the last one more than a 100 kilometers from the line. Mirco Maestri, Alessandro Tonelli, Natnael Berhane, Stepan Kurianov, Alexander Cataford and Sebastian Schönberger escaped and took an early lead of 4 minutes, which they held for a long time. Maestri was dropped after two-thirds of the stage. In the final 50 kilometers the peloton started to reduce the lead, mostly thanks to the Deceuninck - Quick-Step team and 30 kilometers from the line it was less than 2 minutes. Kurianov couldn't hang on to the break, but they were all caught with 4 kilometers to go. It was then time for the sprinter's team to start their lead-out work. After strong work by his team, Elia Viviani had no problem taking his fourth win of the season. Adam Yates finished with the bunch to hold his overall lead. Stage winner, Elia Viviani (Deceuninck - Quick-Step): "I am very happy with this win and continuing my good form. This victory is important in my build-up to Milano-Sanremo not only confidence-wise, but also because it came in Italy with the national champion jersey on my shoulders. Having it is an honor, that’s why I’m trying to enjoy every single moment and give something to cheer about to all the Italian fans who come to see me. The guys did a remarkable job and we remained calm at all times despite the break having a big advantage at one point. The tricky finish made things chaotic and Sagan came out first from the last bend, but I was in a good position thanks to Styby and had a powerful sprint, which helped me maintain my perfect start to the season, with victories in all the races I’ve started with Deceuninck – Quick-Step." Overall leader, Adam Yates (Mitchelton-Scott): "The next two stages are definitely the hardest of the race. Stage 5 looks pretty nasty but, as I said before, we’ll take it stage by stage. The guys looked after me all day. They kept me fresh for tomorrow and we’ll try something. I have two opportunities to gain the time I need before the closing ITT. If it’s tomorrow, it’s great; otherwise I’ll wait for another day." 2nd on the stage, Peter Sagan (Bora-Hansgrohe): "I knew it wouldn't be an easy sprint but I wanted to give it a try. Although my form is still not at the level it should be right now, I was feeling quite better today. I'd like to thank the rest of the team for their great work, especially in the final kilometers where they put me in a perfect position. It was a nice sprint and close finish, something to be expected when you are against strong sprinters like Gaviria and Viviani. I'm improving day by day and in every stage, we will try to get the best result we can." 3rd on the stage, Fernando Gaviria (UAE Team Emirates): "I had good legs in the sprint, I was able to push up to the front well, but I came up against two faultless riders,” Gaviria said. “I made a small mistake in positioning and in that time the sprint began, it’s too bad because I wanted to repay the work done by the team. The best thing of the day was the good feelings that I had after a stage of 200 kilometers." 5th overall, Tom Dumoulin (Sunweb): "I hope to be better tomorrow. In the final I just wasn't super and I couldn't follow the best riders. Tomorrow I hope for better legs in the final. The form is good for now, but he is not yet top." 10. Luca Pacioni (Ita) Neri Sottoli–Selle Italia–KTM. 10. Jonathan Castroviejo (Spa) Sky. Alexey Lutsenko won Stage 4 on Saturday. The Astana rider was pulled back in the final kilometer by Primoz Roglic, Jakob Fuglsang and Adam Yates after a 35 kilometer solo, after which he took the stage in a sprint. Yates, who looked strong all day, retained the leader's jersey. Ten riders made the early move: Nans Peters (AG2R-La Mondiale), Mirco Maestri (Bardiani-CSF), Marcus Burghardt (Bora-Hansgrohe), Joey Rosskopf (CCC), Krists Neilands (Israel Cycling Academy), Lluís Mas (Movistar), Giovanni Visconti (Neri Sottoli-Selle Italia), Jenthe Biermans (Katusha-Alpecin), Rob Power (Sunweb) and Jasper Stuyven (Trek-Segafredo), they took a maximum lead of 8:30. Lotto Soudal, Astana and Jumbo-Visma joined forces and with 50 kilometers to go, the lead was only 2 minutes. There were a few crashes and abandonments today: Tony Martin and Laurens de Plus (both Jumbo-Visma) crashed on a descent, as did Ian Boswell and a number of AG2R-La Mondiale riders. Boswell climbed off, as did Geraint Thomas (stomach problems) and Koen Bouwman (back problems). With 40 kilometers to go on the narrow Monteguiduccio climb with its ramps of up to 19%, Jakob Fuglsang was the first attack with Adam Yates, Tom Dumoulin, Alexey Lutsenko, Davide Formolo, Tiesj Benoot, Primoz Roglic, Julian Alaphilippe and Davide Formolo. The nine riders had a small gap on a split peloton when Lutsenko jumped away. The Kazakh rider soon had a 30 second lead over his eight pursuers, who in turn had 30 seconds on the peloton. With this lead Lutsenko hit the Fossombrone climb for the first time with 18 kilometers to go, there was also two climbs of the Muro dei Cappuccini to cross in the two local laps. The Astana rider expanded its lead on the eight chasers, who were eventually caught by the peloton. After the first pass of the Muro dei Cappuccini, Lutsenko still had a 50 second lead, even after a crash on the descent. Robert Gesink led the pursuit as the peloton entered the final 10 kilometers, pulling back a few seconds before launching Roglic up the road on the Muro dei Cappuccini. Roglic was joined by Yates and Fuglsang. Dumoulin couldn't follow and lost 23 seconds. The three pursuers, with Roglic as the main power, quickly reduced Lutsenko's lead. In the last kilometer they caught him after he had crashed again. In the sprint it was Lutsenko who still had something left to beat Roglic and Yates. 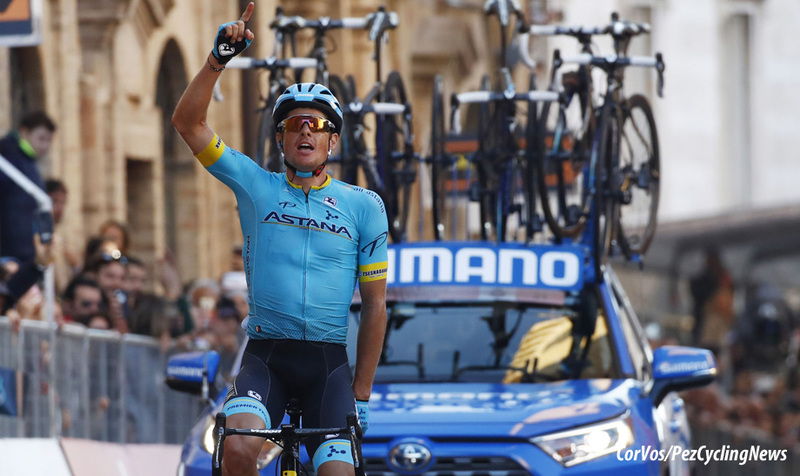 Stage winner and 6th overall, Alexey Lutsenko (Astana): "I crashed twice in the last 20km. It made it very difficult for me. Fortunately there was my teammate, Jakob Fuglsang, in the three-man group behind. I crashed again so I'm really happy that I made up with a stage win for this very bad day. It gives me more motivation for tomorrow and the big classics." 3rd on the stage and overall leader, Adam Yates (Mitchelton-Scott): "It was a tricky stage. It was as hard as a classic in the Ardennes, up and down all day with twisty roads and steep climbs. But we were always in the position we needed to be in. In the final climb, I managed to hang on to Roglic's strong pace. I'm a little disappointed to not win the stage but the strongest guy won today." 5th on the stage, Davide Formolo (Bora-Hansgrohe): "It was a hard stage, I'd say a chaotic one, and I think we did a good job as a team. Unfortunately, Rafał crashed again, but we are still there and we'll keep fighting. Tomorrow we have another tough stage and we'll see how the legs go." 10. Wout Poels (Ned) Sky. 10. Simon Clarke (Aus) EF Education First at 1:25. 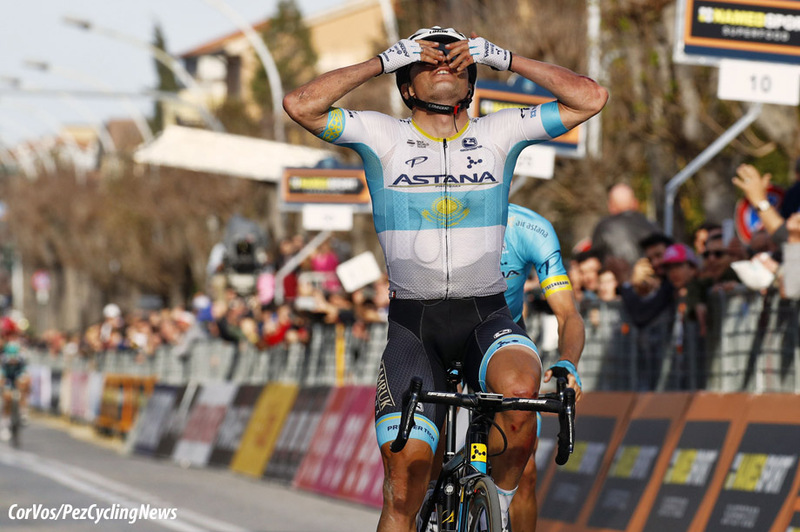 Jakob Fuglsang won the 180 kilometer Stage 5 of Tirreno-Adriatico to Recanati. The Astana rider finished solo, 40 seconds ahead of overall leader Adam Yates (Mitchelton-Scott) 56 seconds before Primoz Roglic (Jumbo-Visma) and 1:39 up on Tom Dumoulin (Sunweb). Yates now has an overall lead of 25 seconds on Roglic. Ten riders made the early break: Belgians Tosh Van der Sande (Lotto Soudal), Nathan Van Hooydonck (CCC) and Tom Van Asbroeck (Israel Cycling Academy), with them was Dane Mads Pedersen (Trek-Segafredo), German Nico Denz (AG2R-La Mondiale), Russian Ivan Rovny (Gazprom-RusVelo), Spaniard Jorge Arcas (Movistar) and the Italians Daniel Oss (Bora-Hansgrohe), Edoardo Zardini and Davide Gabburo (Neri Sottoli). After miles of chasing, Giovanni Visconti (Neri Sottoli), Steve Morabito (Groupama-FDJ) and Julien Simon (Cofidis) managed to catch them. The leaders had a maximum lead of more than 8 minutes as Jumbo-Visma set the pace at the front of the peloton. After a relatively flat ride, the riders had three local laps of 22.8 kilometers. The leading group cracked and two laps before the end, Denz, Zardini, Gabburo and Pedersen were the only remaining riders off the front. Behind; under the initiative of Astana, the peloton split into several pieces with an elite group including Lutsenko, Yates, Roglic and Dumoulin. Jakob Fuglsang attacked from the group to join Denz, Gabburo and Pedersen. With 11 kilometers remaining, the Dane then went solo. In the chase group of favorites; Yates instigated a group of eight. Dumoulin initially missed the move, but managed to rejoin. After another attack by Yates, Roglic initially lost ground, but the Slovenian fought back. Fuglsang, meanwhile, had less than a minute on his pursuers. He soloed to victory and held on over the steep final climb. Yates rode Roglic off his wheel on the steep final climb to finish 16 seconds ahead of the Slovenian. Stage winner and 3rd overall, Jakob Fuglsang (Astana): "I dedicate this victory to my former teammate Michele Scarponi. Yesterday I spoke with his widow at the start, and it inspired me even more, to go for a stage win in the race that Michele loved to ride. The team worked very well today, everyone within the team is in great shape so far during this season. It’s great to experience all this success, everything comes together during the past few months. Two years ago, around this time, we didn’t win once. Now have nineteen victories. It’s amazing, but we will see if we can keep performing like this during the rest of the season. Today, when the team did a great effort by closing the gap with the break, I tried to save as much energy as possible. On the final climb of the local lap, with one more lap to go, I knew it was my time to attack. I knew everyone had to work very hard to keep the wheel of Alexey Lutsenko and Dario Cataldo, and I benefit from that right at the top of the climb. I’m really happy with this win, and for sure I will try to keep the podium." Overall leader and 2nd on the stage, Adam Yates (Mitchelton-Scott): "I said yesterday this was gonna be the hardest stage of the race and it was. I came close to the win but Fuglsang was on another level. I realized Roglic was hurting a little bit. I did the best I could but I don't know if 25 seconds advantage will be enough to win Tirreno-Adriatico. Me and Roglic worked together but there was not enough distance to catch Fuglsang. When he went, it was still a long way to the finish. It was a similar situation as with Lutsenko yesterday. If I went after him, maybe I would have lost energy. It’s a tactical game. Now I have no more stages to win and it’s a time trial to finish with. At the back of my mind, I would have liked a 45-second lead over Roglic, who is a super time triallist. It’s not a course that suits me. I don’t think 25 seconds is enough but I’ll try my best." Break rider, Daniel Oss (Bora-Hansgrohe): "In the pre-race meeting we talked about going in the breakaway and I think we did a good job there. 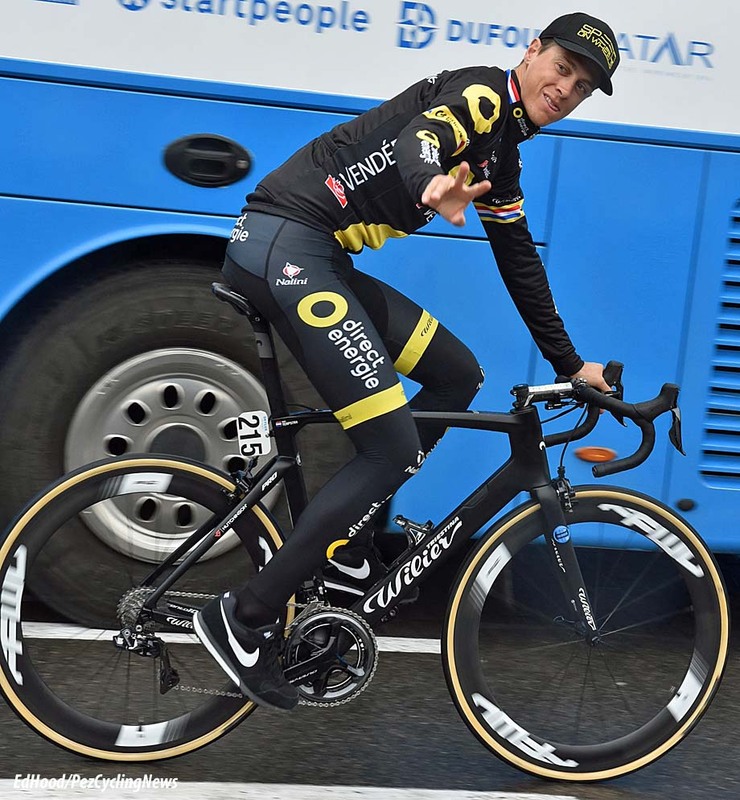 There is no doubt it was a very hard stage and I think it was very good training for the remaining of the Tirreno-Adriatico and the Milano-Sanremo." 10. Simon Clarke (Aus) EF Education First. 10. Rui Costa (Por) UAE Team Emirates at 3:26. Stefan de Bod won the African Time Trial Championships, racing to the victory ahead of Eritrean, Sirak Tesfom and countryman, Ryan Gibbons respectively. 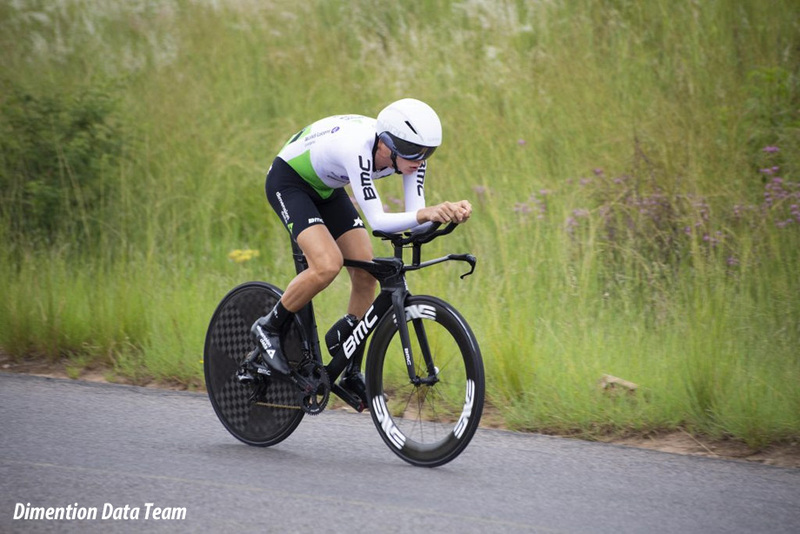 The two Team Dimension Data for Qhubeka riders, riding in their national colors of South Africa, took to the 50km individual time trial in Sebat Emit, Ethiopia. Gibbons was the first of our two riders off and he came home with the provisional 2nd best time at the line, with Tesfom from Eritrea leading. Starting a few mins later, de Bod then crossed the line with a new best time of 1:00:47. The top 3 placings would remain unchanged as the final few riders completed their time trial effort, meaning our Team Dimension Data duo secured the Gold and Bronze medals for South Africa. "It is great to take the African Time Trial title. For the growth of the sport on our continent, these events are really important for us. Each year the level of African racing increases, so I am happy to have come out on top today." - Stefan de Bod. The 160km road race takes place on Tuesday and our African World Tour Team will have 5 riders competing in the race; Gibbons, de Bod, Nicholas Dlamini and Jacques Janse van Rensburg representing South Africa as well as defending African Champion, Amanuel Ghebreigzabhier representing Eritrea. 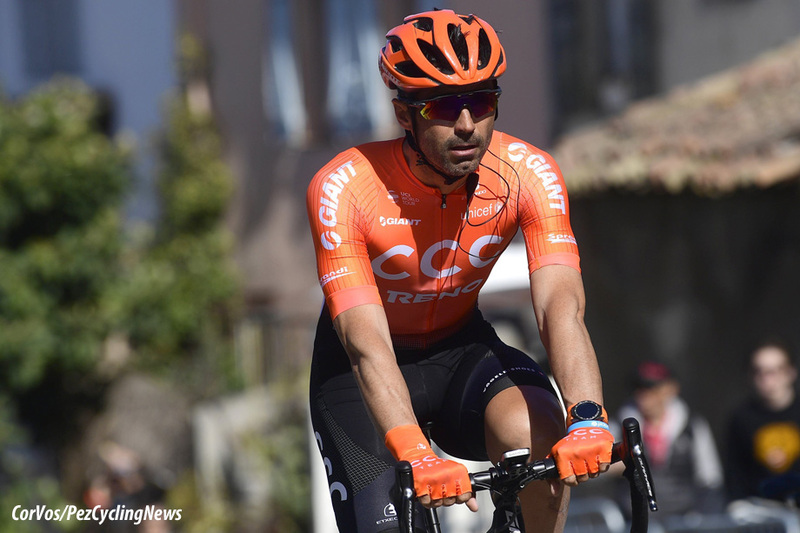 Francisco Ventoso has been forced to abandon Paris - Nice after a crash in the second half of stage six which left him with a broken fifth metacarpal bone in his left hand, CCC Team doctor, Dr. Piotr Kosielski confirmed. Direct Energie was the first team to announce its selection for Milan-San Remo. The French ProContinental formation is counting on Niki Terpstra and other strong riders such as Lilian Calmejane and Niccolò Bonifazio. Terpstra has already won several major spring classics, but he has never been able to shine in Milan-San Remo. The question is whether the 34-year-old Dutchman will ride for himself or for Bonifazio who was 5th in 2015. The Italian sprinter lives on the La Primavera course and is therefore keen to score next weekend. The 25-year old Bonifazio already won three races in January and the final classification in La Tropicale Amissa Bongo. Lilian Calmejane could also perform well. The French attacker - who will also ride some cobblestone classics - may be able to open the attack on the Poggio. Direct Energie also selects Jérôme Cousin, Fabien Grellier, Paul Ourselin and Anthony Turgis. The 110th edition of Milan-San Remo will be held on Saturday, March 23. Niccolò Bonifazio (Ita), Lilian Calmejane (Fra), Jérôme Cousin (Fra), Fabien Grellier (Fra), Paul Ourselin (Fra), Niki Terpstra (Ned), Anthony Turgis (Fra). Lotto Soudal has completed its selection for Milan-San Remo. According to Het Laatste Nieuws, the Belgian team has picked a squad of riders to support Caleb Ewan in a sprint finish. Last year Ewan was second behind the escaped Vincenzo Nibali. As expected, Tiesj Benoot and Tim Wellens will not be in Milan. The seven-strong selection includes Tomasz Marczynski who had to abandon Tirreno-Adriatico early due to illness, but is expected to be fit for next Saturday. If not, then Frederik Frison will take his place. Caleb Ewan (Aus), Adam Hansen (Aus), Jens Keukeleire (Bel), Roger Kluge (Bel), Nikolas Maes (Bel), Tosh Van der Sande (Bel), Tomasz Marczynski (Pol). AEG, owner and presenter of America’s only UCI WorldTour race, has confirmed teams and select riders who will compete in the 2019 Amgen Tour of California and the Amgen Tour of California Women's Race empowered with SRAM. 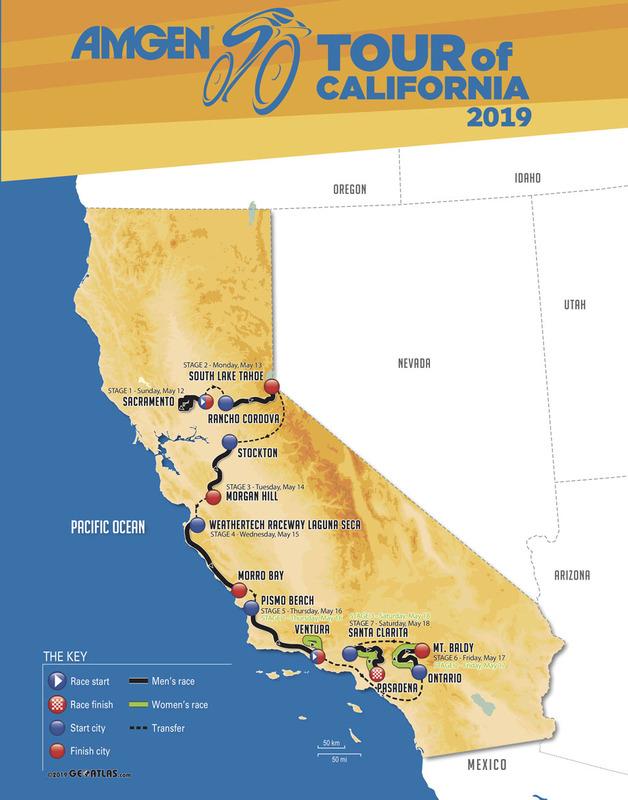 From May 12-18, 2019, 19 men’s teams of elite professional cyclists will contest 773 miles of California’s most scenic highways, mountain roads and coastlines from Sacramento to Pasadena. The simultaneous women’s event will feature 16 teams, kicking off in Ventura on May 16, then running concurrently to also finish May 18 in Pasadena. Both events welcome back past race champions: Boels Dolmans’ Olympic gold medalist and current World Champion Anna Van der Breggen (2017) and California-based reigning race champion Katie Hall (2018) will return to compete in the Amgen Tour of California Women's Race empowered with SRAM, while men’s returning champions include Team Jumbo-Visma’s George Bennett (2017); Bora-Hansgrohe’s three-time World Champion Peter Sagan (2015), who also holds the race record for stage wins (16); and EF Education First Pro Cycling’s U.S. veteran rider Tejay van Garderen (2013), whose credits include three top-10 Grand Tour finishes and the race record for the largest winning margin of all time (+1:47 ahead of the next competitor). “I’m really looking forward to coming back for my 10th Amgen Tour of California. I really love the Amgen Tour of California…come visit us and enjoy!,” said Sagan. · Veteran sprinters Peter Sagan (Bora-Hansgrohe), Marcel Kittel (Katusha Alpecin), Mark Cavendish (Team Dimension Data) and Nacer Bouhanni (Cofidis, Solutions Crédits) will battle for the coveted green jersey. · Despite the lack of a time trial in this year’s race, Bahrain – Merida general classification leader Rohan Dennis will return to California to showcase his all around climbing skills. He is the current individual time trial champion and a two-time stage winner at the Amgen Tour of California. · Astana’s 2018 Tour de France stage winners Magnus Cort Nielsen and Omar Fraile. · Northern Californian Peter Stetina (Trek-Segafredo), who placed 2nd on the Gibraltar stage in 2016. · American riders with an eye to the 2020 Olympic Games competing with USA Cycling. Seven of the current top-9 UCI ranked women’s teams will compete in the three-day road race, including top-ranked Boels Dolmans. The elite field will include the top three finishers from the 2018 event (Hall, Wiles, Niewiadoma), Olympic medalists and champions: World Champions Lizzie Deignan (2015/Trek-Segafredo) and Chantal Blaak (2017/Boels Dolmans); WNT Rotor Pro Cycling Team‘s German rider Lisa Brennauer, who holds multiple World and National Champion titles; and Astana’s Arlenis Sierra, who claimed the green jersey at the 2017 California event and a stage win in Sacramento last year. Also expected to compete are Ventura, Calif. sisters Kendall Ryan (Tibco-Silicon Valley Bank) and Alexis Ryan (Canyon//SRAM), and gifted climbers Ashleigh Moolman Pasio (CCC – Liv) and Kasia Niewiadoma (Canyon//SRAM), who took third place at last year’s race. Trek-Segafredo will mount formidable U.S. riders Tayler Wiles, who placed second in last year’s edition, and Ruth Winder, who claimed a stage at the 2018 Giro d’Italia Femminile. Known as a race where young riders can make their names known, phenoms will punctuate the action including 2020 Tokyo Olympic hopefuls Emma White (Rally UHC); Chloé Dygert (Sho-Air Twenty20), who set a World Record on the track for individual pursuit last year; and Tustin, Calif.-based speedster Coryn Rivera (Team Sunweb), who at age 26 holds 72 national titles and a 2017 stage victory in California. Team Novo Nordisk have announced that it received a wildcard invitation to the Tour of California. Team Novo Nordisk CEO and Co-Founder Phil Southerland: "While we represent the diabetes community, we proudly race as an American-registered team. The Tour of California serves as the most prestigious and sought-after professional bike race on US soil." "After stepping away for a year, we are eager to showcase our jersey and inspire the millions of people who watch this race globally to get out, exercise and chase their dreams. Historically, the Tour of California has been a standout race for us, and our riders have worn multiple jerseys and earned podium finishes. We are motivated to take full advantage of the massive media attention around the Tour of California and race aggressively to inspire, educate and empower everyone affected by diabetes. We would love if everyone with diabetes would come out to the race and cheer for the team." Team Novo Nordisk General Manager Vassili Davidenko: "We took a year off to invest in the development of our athletes and we are motivated to return for our fifth Tour of California. We are grateful to the ASO for extending this wildcard invite and we can officially say that this our race of the year. Since the start of the season, we have designed our calendar and coaching so that we bring the strongest roster possible to the most prominent American stage race." 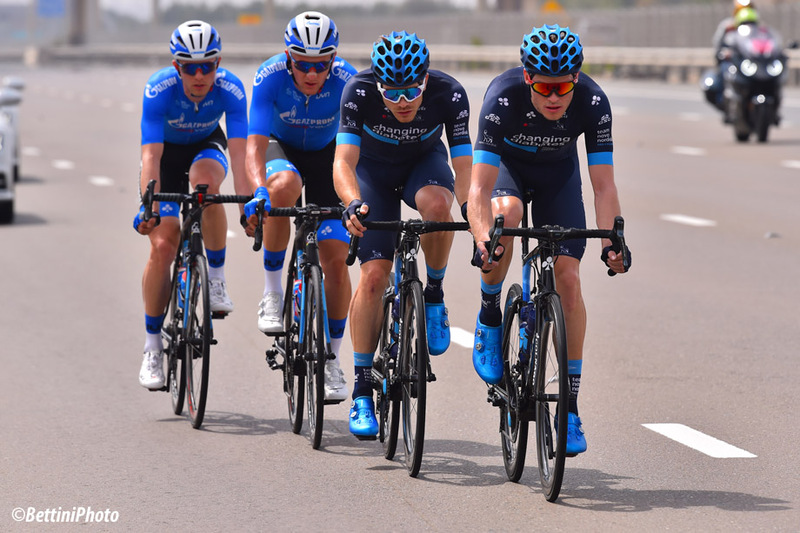 "After a noteworthy WorldTour showing at the UAE Tour in February where Team Novo Nordisk’s Charles Planet wore the race’s intermediate sprint jersey for four stages and riders featured in nearly every breakaway, we aim to build upon these results. Over the past few years, we have invested significantly in helping our riders learn and grow so they can race competitively against the best cyclists in the world. We will arrive in peak form and look forward to showing the world what is possible with diabetes." "The Tour of California kicks off on May 12th in Sacramento, California. The seven-day World Tour race passes through Lake Tahoe, Laguna Seca, Morro Bay, Pismo Beach, and Mt. Baldy before concluding in Pasadena." 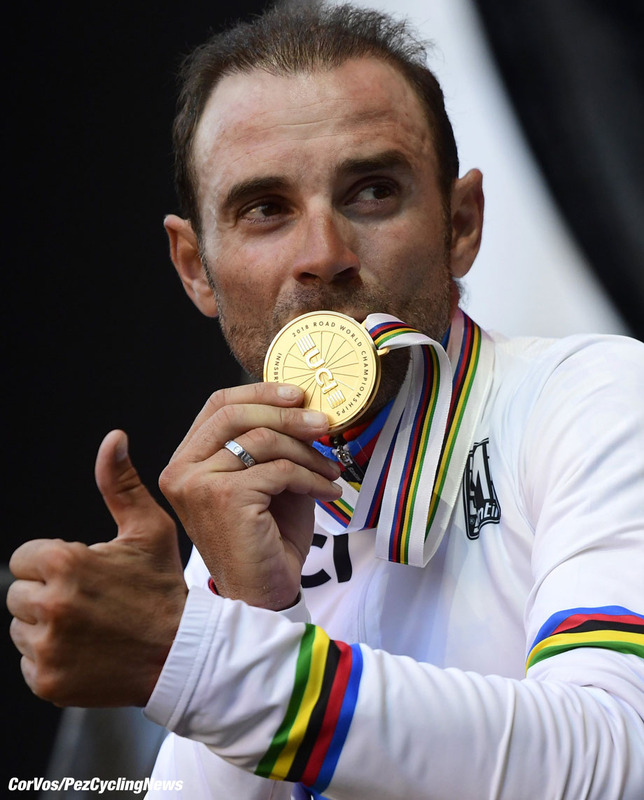 The 2024 cycling World Championships will take place in Zurich, the Swiss Cycling Federation announced this week. Zurich was not the only candidate to organize the World title battles. The city of Bern had also submitted its candidacy. After studying the bids, the preference went to the city that hosted the Championships of Zurich for many years, although the race was last organized in 2006 it was part of the WorldTour for many years. The Swiss newspaper Tages-Anzeiger suggest that the route for the various competitions will start in the Canton of Zurich, although the exact locations are not yet known. It is already clear where the finish line will be; it will be drawn on the Sechseläutenplatz. The route of the local circuits will go through the old city, including a section cobblestones. In the past, Zurich has hosted the World cycling Championships three times, in 1923, 1929 and 1946. In addition to the World championships on the road in 2024, the city is also hosting the para-cycling world championships. Valverde in 2018, will he be there in 2024 at 46? EF Education First Pro Cycling is proud to announce the re-signing of Mike Woods to a multi-year deal. The Canadian enjoyed a break-out season last year, finishing second at Liège-Bastogne-Liège, winning his first Grand Tour stage at the Vuelta a España and taking the bronze medal at the 2018 Road World Championships in Austria. “The direction of the team, the idea of exploring the world — it all really meshes with what I believe in,” said Woods. “I feel very fortunate to be on a team that values what I naturally value – education, exploration, community. Standing on the top step of the podium at one of the Ardennes races is high among Woods’ future ambitions. He hopes to start the 2019 Tour de France, and he’s excited about the opportunities on offer at the 2020 Olympic Games in Tokyo. Since joining the team in 2016, sport director Juan Manual Garate has worked closely with Woods. Woods is a latecomer to professional cycling. He played hockey growing up before finding success in running. He set the Canadian junior record in the mile (3:57:48) and the 3km (7:58:55). Both records still stand today. Woods earned a track scholarship to the University of Michigan, competed for the Canadian national team and harbored ambitions of becoming one of the best milers until overtraining injuries derailed his career. He was working at a running-shoes store in Ottawa when he began to borrow his dad’s bike. The riding proved cathartic. When friends convinced him to try his hand at racing, Woods soon discovered an innate talent. Local race wins earned him a spot on Canada’s national team for Tour de Beauce. His performance at Canada’s oldest stage race garnered him a UCI continental team contract two years after he first picked up a bike. Three years later he was pulling on argyle. Both the team and Woods are growing together. The community Woods has found within the team further buoyed his resolve to renew his contract with EF Education First. “Riders can be themselves on this team,” said Woods. “They can be individuals. They can speak their minds. It makes for a fun environment, an interesting environment. I have good friends on this team because of how JV has chosen to build the roster. It’s an interesting group of guys not just on the bike but off the bike as well. One of the youngest riders of the Deceuninck – Quick-Step team, the 22-year-old Dutch sprinter – who in his first pro season amassed an impressive seven victories – talks in this video made by La Pédale about being a member of the Wolfpack and his ambition of becoming one of the fastest and most successful riders in the world.